Dugout Captain - free access for SJB coaches! 2.) Use "Early Activities" to get kids to practice on-time. Do something fun for the 15 minutes leading up to practice that kids won't want to miss. They'll be begging their parents to get them to practice early, therefore you can start on-time. 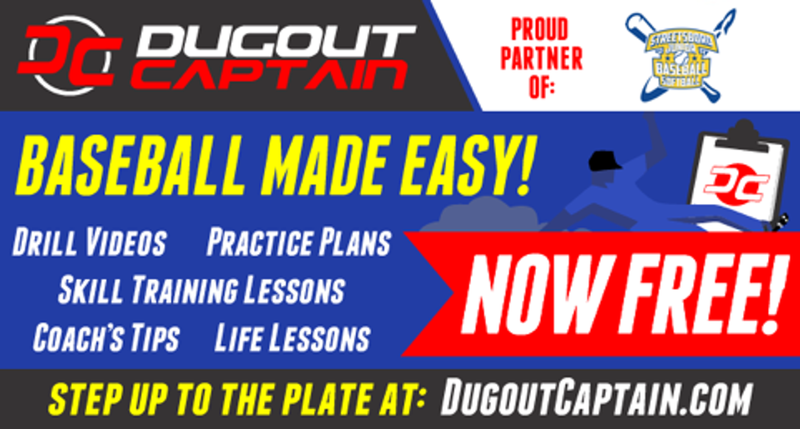 Streetsboro Junior Baseball & Softball Inc has partnered with Dugout Captain, a leading online resource for youth coaches. This partnership enables SJB Managers and Coaches the ability to easily learn how to present and coach the basic and advanced baseball skills to our youth. My personal favorite is the practice plan builder with sample practice plans with instructional videos showing you how to setup and execute practice drills as well as points of emphasis. Each registered coach and manager should receive (or have received) an email with credentials to login to the site. 1. Provide a safe physical environment. Playing softball holds inherent risks, but as a coach you're responsible for regularly inspecting the practice and game fields and equipment. Reassure players and parents that, to avoid injury, children will learn the safest techniques and that you have an emergency action plan to follow. 2. Communicate in a positive way. As you already know, you have a lot to communicate. You'll communicate not only with your players and parents but also with the coaching staff, umpires, administrators and others. Communicate in a positive way that demonstrates that you have the best interests of the players at heart. 4. Teach the rules of softball. Introduce the rules of softball and incorporate them into individual instruction. Many rules can be taught in practice, including the infield fly rule, foul versus fair balls, interference with a defensive player, balks and batting within the batter's box. Plan to review the rules, however, any time an opportunity naturally arises in practices. 5. Direct players in competition. This includes determining starting lineups and a substitution plan, relating appropriately to umpires and to opposing coaches and players, and making sound tactical decisions during games. Remember that the focus is not on winning at all cost but on coaching yur kids to compete well, do their best, improve their softball skills, and strive to win within the rules. 6. Help your players to become fit and to value fitness for a lifetime. We want you to help your players be fit so they can play softball safely and successfully. We also want your players to learn to become fit on their own, understand the value of fitness, and enjoy training. Thus, we ask you not to make them do push-ups or run laps for punishment. Make it fun to get fit for softball so that they'll stay fit for a lifetime. 7. Help young people develop character. Character development includes learning, caring, being honest and respectful, and taking responsibility. These intangible qualities are no less important to teach than the skill of hitting the softball. We ask you to teach these values to players by demonstrating and encouraging behaviors that express these values at all times. For example, in playing good team defense, stress to young players the importance of learning to back each other up (even when they aren't directly involved in fielding the ball or receiving a throw), playing within the rules, and showing respect for their opponents. These are your responsibilities as a coach. Remember that every player is an individual, and you must provide a wholesome environment in which every player has the opportunity to learn how to play the game without fear while having fun and enjoying the overall softball experience.